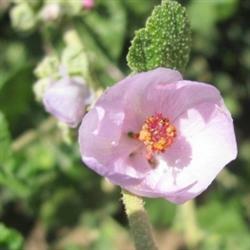 This medium shrub has gray-green foliage pretty pink flowers that are densely layered on the bush over a long blooming season. It is a really easy plant to grow and prefers well draining soil. It is suitable for erosion control on slopes where something attractive is also necessary. Its a great addition to both a bird garden and a butterfly garden.